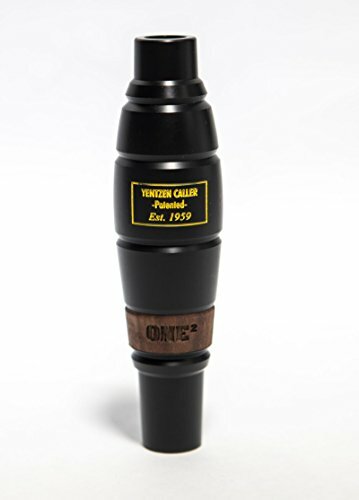 Sure-Shot Game Calls is synonymous with innovation, and we've spent the last 6 decades doing just that with every call we make. So when it came time to re-visit one of most beloved products, we knew it wouldn't be easy. Being an industry leader meant we couldn't just change the color, or slap a new label and package on the same ole' thing. We had to scrutinize every aspect of it and ask the same question we always do.... "Is this the best we've got?!) And from that very statement the Yentzen ONE2 was born! Yentzen ONE2 dramatically improves the most important aspects of the ONE experience. It introduces an advanced new Reed System. The best sound and response ever in a call. A redesigned Screw Lock system for smoother and faster assembly and tuning. Re-Engineered tone chamber makes the ONE2 twice as loud as the previous model. An all new Walnut band gives the perfect accent and pays tribute to its ancestors. And it looks every bit as powerful as it is beautiful. This is the Yentzen ONE2. If you have any questions about this product by Sure Shot Game Calls, contact us by completing and submitting the form below. If you are looking for a specif part number, please include it with your message.